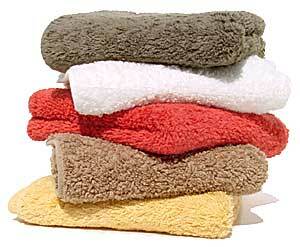 The Abyss SuperPile Towels - rich colors & a luxurious feel. These 100% cotton bath towels are luxurious to the touch due to both the quality of cotton used and a proprietary weaving technique. Beautiful colors, 700 gram wt. and 100% Egyptian cotton. Sizes: Wash 12"x12", Hand 17"x30", Bath 28"x54", Sheet 40"x72". Allow 2 weeks for items in stock, 4-6 weeks for items out of stock. Abyss Habidecor "Must" Rug - 20"x31"
Abyss Habidecor "Must" Rug - 23"x39"
Abyss Habidecor "Must" Rug - 27"x47"
Abyss Habidecor "Must" Rug - 31"x63"